Live Laugh Learn? Puke puke puke. I’m really sick of hearing that stupid phrase (and variants thereof), “Live, Laugh, Love”. 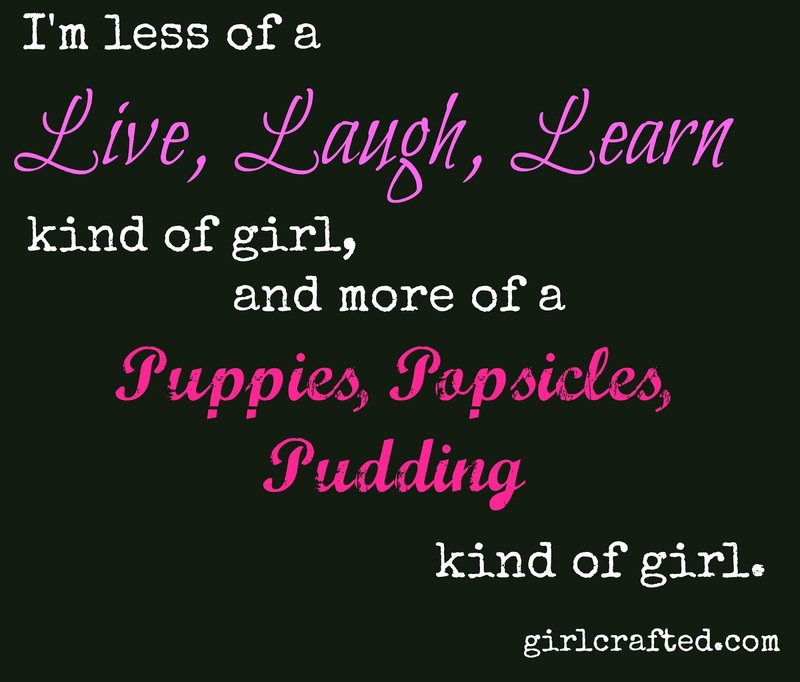 And “Live, Laugh, Learn”. Why are we so obsessed with this? It’s not really some sort of wise philosophical statement. It’s three (or four) L words that are really just basic tenements of being a live bipedial simian. Are we just fanatics for alliteration? 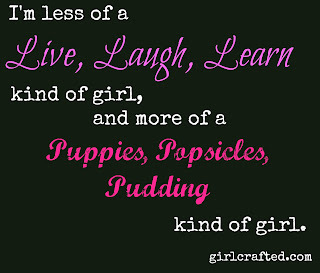 If so, then the next time I buy a set of inspiration votives, I want them to read, “Puppies, Popsicles, Pudding”. 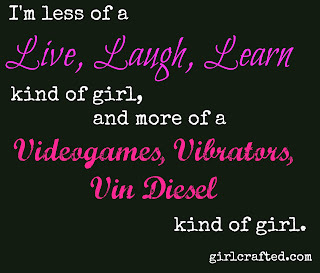 Or maybe “Videogames, Vibrators, Vin Diesel”. Those are way better personal philosophies. A person with either of those sets of values is someone I can really get behind. I should be a campaign writer for these upcoming elections. EDITED TO ADD: For those of you who agree with my much better philosophies, these here are for you to share and post. You're welcome.